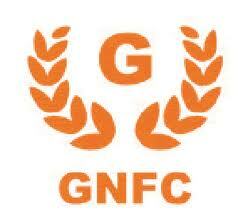 Description: GNFC invite General Manager (Industrial Products Marketing) posts on contract bases. Gujarat Narmada Valley Fertilisers & Chemicals Limited - GNFC published an official notification for Recruitment of General Manager (Industrial Products Marketing) posts. Eligible candidates can apply for this recruitment. You can view more details about this recruitment including No. of posts, name of post, Educational qualification, Age limit, Selection process, How to apply etc... You can also view official notification and other important facts about this recruitment e.g. Important links and Important dates. Incumbent should be a B.E. (Chemical) with MBA (Marketing) / other equivalent qualification from reputed Institute/ University. Preferance would be given to candidates having post-graduation from IIM-Ahmedabad / Bangalore / Kolkata / Madras. Experience: Around 20 years of Marketing in one of the major Chemical, Petro-chemical Companies in India, out of which 10 years at Senior Level (Without any interruption) in Marketing of Various Chemicals.